April Kennedy...My Life + My Style: Kaia's Special Day. Finding out she was headed for a spa date with mommy. To get her very first facial. Susan, at the Marriott Spa, pampered her to no end. Kaia was in heaven and especially loved the exfoliation part. Getting tickets to go see Wicked next week! She's been waiting for two whole years. I hid the tickets in her other gift "The MockingJay." BEFORE I gave it to her as one of her gifts? She didn't mind too much because she hasn't quite finished Catching Fire. If you haven't read The Hunger Games series. And then, we finished off the day with cake. What a great day for the both of you. Is that a Butter Cream champagne cake? I do long for those on occaision. Sounds like a wonderful day for Kaia! I'm going to store that one away for when my girls hit the teenage years. Wicked is amazing, hope she enjoys it! Michelle, I thought the exact same thing about the cake. I had one every year on my birthday. Nothing like it! Wow~what an exciting way to celebrate!! She is one lucky girl! WICKED is what I want for my bday too (playing here in Boston). Maybe, just maybe...I can score a pair of tickets. Your day looks wonderful and amazing! Way to get in on the birthday action mama-you got to read her book AND go to the spa-that's what I call a win-win smart giving situation ;) Do you get to see Wicked too??! It sounds like a dream day for you all. 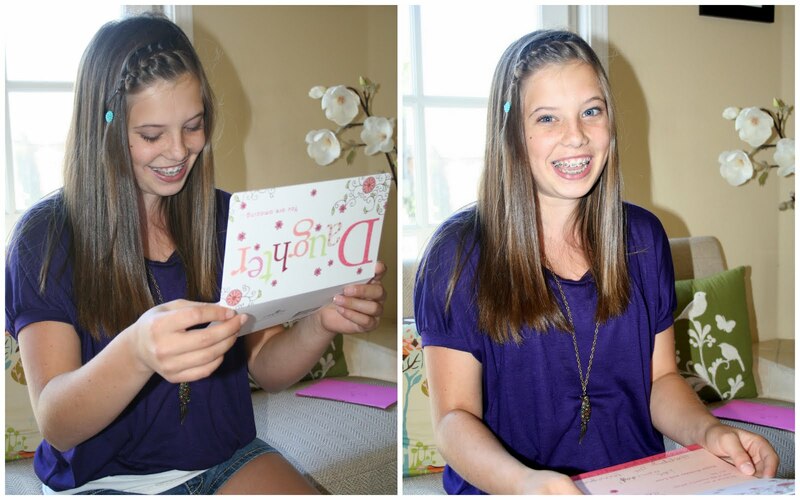 Happy birthday to your beautiful sweet teen! I'm sure she will never forget it. I'm glad she had a good day overall. I'm sorry we were part of her disappointment. I tried...but we would not have eaten dinner until 9 p.m. Maybe we can try again on Sunday..haha! Let us know. Such a pretty teenager you have. :) I hope her day was wonderful!